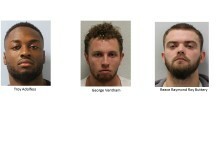 A group of criminals who stole thousands of pounds worth of mobile phones from shops in south London have been jailed. During the two-week spate of moped-enabled burglaries in August 2018, seven stores were targeted. The following defendants appeared at London Inner Crown Court for sentencing today Wednesday, 6 March, after pleading guilty to conspiracy to commit burglary between 14 August and 29 August 2018 at Inner London Crown Court. 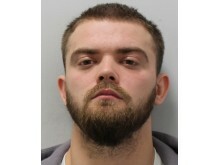 - George Ventham, 23 (30.04.95) of Carshalton Road, Sutton was sentenced to two-and-a-half years' imprisonment for conspiracy to commit burglary, and a further eight months for possession with intent to supply cannabis which he had pleaded guilty to - these sentences will run consecutively. - Reece Raymond Roy Buttery, 23 (21.03.95) of Knights Hill, SE27 was sentenced to two-and-a-half years' imprisonment. The court heard that between Tuesday, 14 August and Wednesday, 29 August 2018, the men targeted the following stores and stole more than £50,000 worth of mobile phones. - O2 Store, High Street, Sutton, SM1 (on Tuesday, 14 August, between 02:30 and 02:37hrs - Troy Adolfess, George Ventham and an as yet identified suspect. - EE Store, High Street, Sutton, SM1 (Thursday, 16 August, between 01:40 and 01:56hrs - Troy Adolfess, George Ventham and an as yet identified suspect. 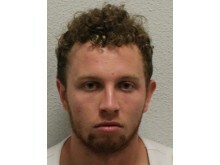 - EE Store, Balham High Road, SW12 (Friday, 17 August, between 03:33 and 03:36hrs - Troy Adolfess, George Ventham and an as yet identified suspect. 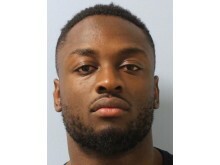 - EE Store, North End, Croydon, CR0 (Friday, 17 August, between 03:56 and 03:57hrs - Troy Adolfess, George Ventham and an as yet identified suspect. - EE Store, Powis Street, Woolwich, SE18 (Friday, 24 August, between 02:38 and 02:40hrs - Troy Adolfess, George Ventham and an as yet identified suspect. - EE Store, High Street, Bromley, BR1 (Sunday, 26 August, between 03:40 and 03:45hrs Troy Adolfess, George Ventham, Reece Buttery. It was at the seventh location (EE Store, Rye Lane, Peckham, SE15), that all three were caught in the act by local officers. They had spotted two mopeds at the location and noticed that the entrance to the shop was smashed. This was between 01:18hrs and 01:20hrs on Wednesday, 29 August. As the officers approached, Ventham climbed out from the shop and got onto the back of a moped ridden by Buttery and both made off. Adolfess then came out of the shop and tried to run from officers. He was Tasered, detained and arrested at the scene, where his mobile phone was also seized. Ventham and Buttery returned on their moped and tried to help Adolfess escape, but were unsuccessful and again, they fled. 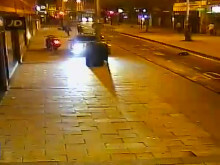 Officers from Operation Venice, which is dedicated to tackling moped enabled crime, led the investigation and connected the defendants to a linked series of similar offences. The team searched numerous premises across south London and obtained CCTV footage and phone evidence which directly linked Adolfess to the other six incidents. Analysis of his phone linked Ventham to all of the offences and Buttery to the last incident. On 11 September, Ventham was arrested outside his home address where he attempted to flee but was caught and detained. A search of his home uncovered a large quantity of drugs for which he was further arrested. On 13 September, Buttery was arrested by Operation Venice officers outside his home addresses. Chief Inspector Jim Corbett, from Operation Venice, said: "These criminals callously burgled a number of mobile phone shops for their own financial gain. Not only did they cause damage to premises, but disrupted trade and caused financial loss to retailers. "Trying to help their fellow criminal, Adolfess, escape police custody shows the attempts these individuals would go to, to remain at large and continue committing crime. "Not only is it due to the work of the officers responding to the call, but also the tenacity of the Venice Investigation Team who linked the three to their other crimes across London and gained evidence against them that has achieved this sentence today."